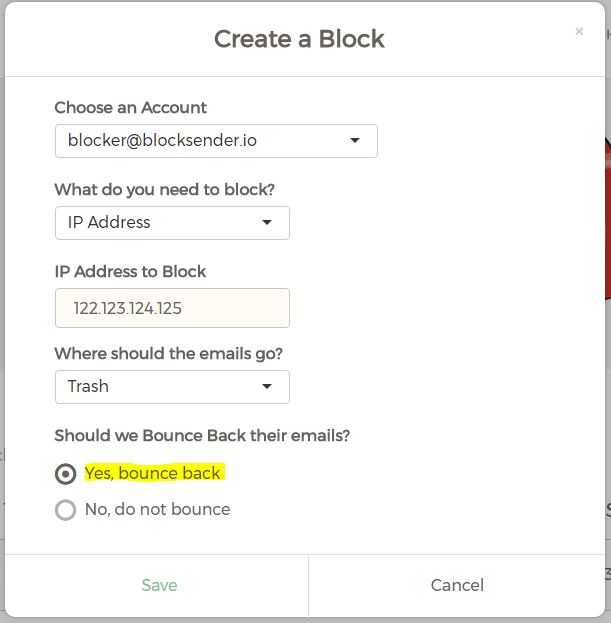 With Block Sender, you can send fake bounce-back messages, which will make the sender think your email address no longer exists. You can bounce an email when creating a new block or from an existing block in the dashboard. Note: In order to send fake bounce-backs with Block Sender you need to upgrade your account to Plus or Pro.